Why travel to only one island when you can see 4000 of them? In this week’s 123RF World Travel Guide, we begin our journey in the sprawling Alay Valley for Kyrgyzstan’s best views. Next, we hike for the world’s most beautiful waterfall in Laos. Following that, we head to Lebanon’s Beirut and uncover its exciting fashion and nightlife scene. Finally, we end our trip in Libya for the best views of the Sahara Desert. A blanket of snow covers the Barskoon valley route. For the 123RF World Travel Guide, Kyrgyzstan is a true wonder of natural beauty. Stunning mountainscapes, rivers and acres of greenery has cemented its place on the tourist trail. Here, begin your journey in the magnificent Alay Valley. For nature lovers, this region offers some of the best mountain views with every step. 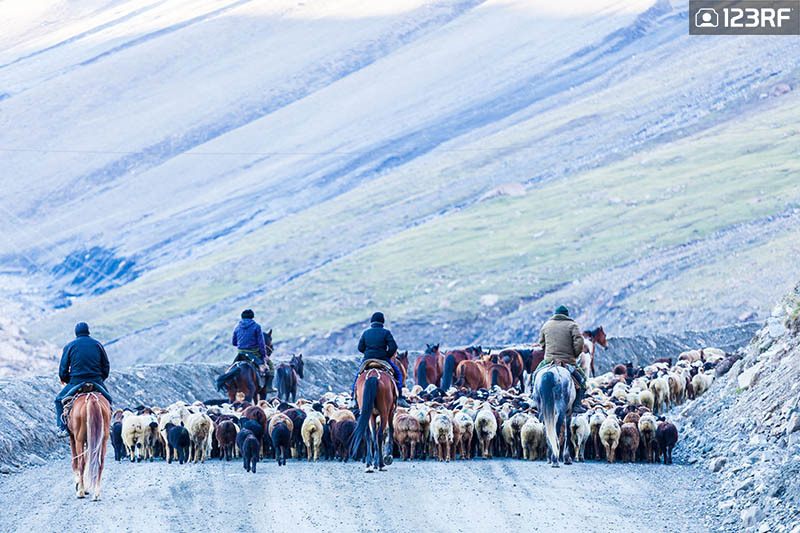 The Alay is a popular home for herders who often bring along their cows, sheep and horses. However, what sets this region apart is the series of accommodation options. A network of yurts make it easy for travelers to explore every corner of the vast land. Meanwhile, the Song Kol lake is another stunning addition to the country’s tourism trek. This alpine lake sits at an altitude over 3000 meters. For the best experience, arrive in time for sunrise or come at night and watch the starry sky reflect on this massive lake. Additionally, consider making a pit stop at Bishek. The country’s capital has quietly evolved into an arts and culture hub. And the State Museum of Fine Arts perfectly embodies this. Finally, end your trip at any one of the city’s popular watering holes. 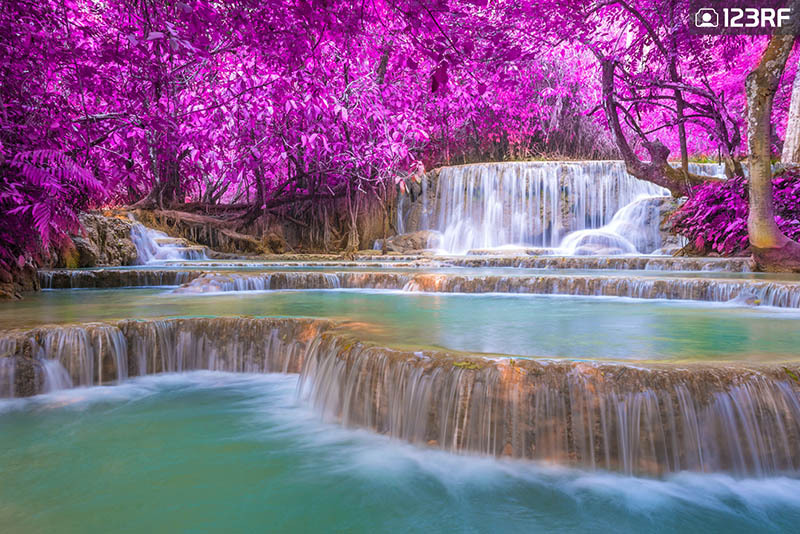 The Kuang Si Falls might just be the world’s most beautiful waterfall. Laos seamlessly combines history and comfort to become one of Southeast Asia’s hidden jewels. The country has something in store for every traveler. From vast tea plantations, lush jungles and rice fields to ancient temples, luxurious resorts and fine dining – you’re always spoiled for choice. And no trip here is complete without a visit to Luang Prabang. The city feeds both, your spiritual beliefs and tummy. The ancient Wat Xieng Thong is the country’s most popular monastery. The beautiful ‘tree of life’ mosaic is one of many features that embellishes this royal architectural feat. If you’re up for the hike, then the 123RF World Travel Guide recommends the Phu Si hill. Here, treat your eyes and lenses to beautiful sunset views of the city and That Chomsi stupa. Furthermore, make the most of your travels by heading out to Si Phan Don. Dubbed ‘4000 Islands’, life here is extremely laid back. So hop on a bicycle or rent a motorbike and make your way across tranquil villages. Next, don’t miss out on Vientiane. The capital city charm is best seen its street markets, tasted in its collection of upscale eateries and felt in its exquisite boutique accommodations. 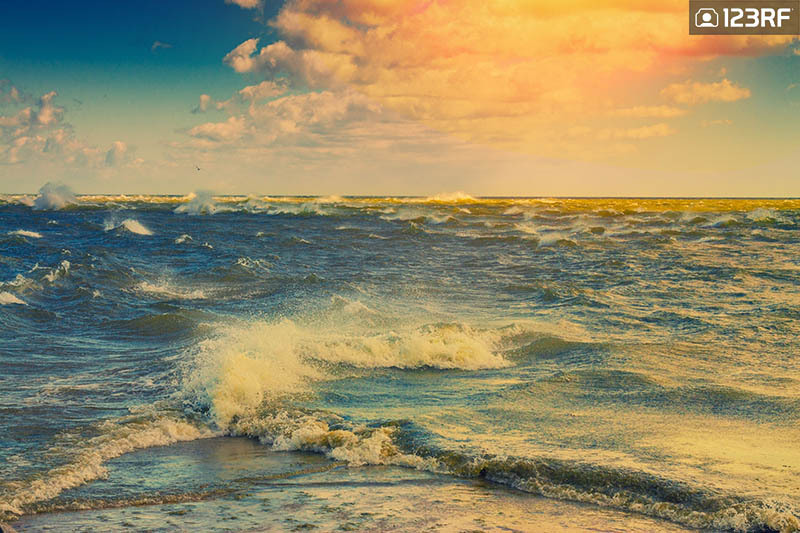 Witness one of nature’s special phenomenons in Cape Kolka – the meeting of two seas. For the 123RF World Travel Guide, Latvia is a playground. Not the kind where you will have to wait in line for the swing, it’s where you can enjoy the country, all to yourself. And Cape Kolka is the best of the bunch. A trip here feels like you’re visiting an isolated stretch of land. Desolate and beautiful, the Slitere National Park forms the bulk of the cape. This is also where two seas meet – the Baltic and Gulf of Riga. The island’s landscape is also home to elks, wild deer and massive flocks of birds during the migration season. Next, Latvia’s charm also takes us to its capital city. Upon setting foot in Riga, you’ll appreciate the diversity it offers. The city is dotted with Gothic architecture at every corner, and at times, it feels like the city is all yours to explore. However, a step into its swanky art galleries and dining rooms, and the Riga suddenly bursts to life. The Art Museum Riga Bourse surely demonstrates this. The gallery homes a Chinese and Japanese ceramics, along with an Egyptian mummy, that’s ever popular with the locals and tourists. The city’s beautiful Art Nouveau architecture is also evident in the Albert street. On the way, be sure to grab a bite at the Central Market, as you may spend hours admiring the exquisite buildings. 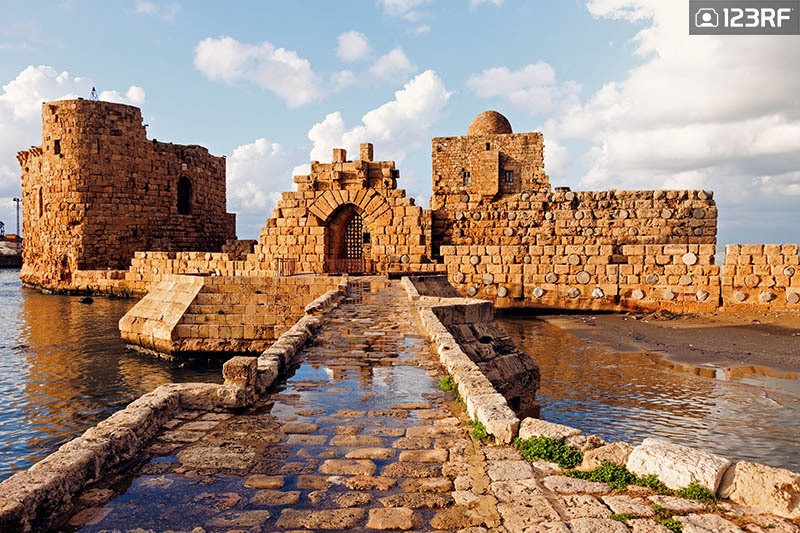 Sidon Sea Castle bears testament to Lebanon’s glory days. Lebanon has been scarred over the years. However, the country still retains its warm hospitality, culture and amazing sights. Here, Tripoli is a must visit. The city homes beautiful Ottoman architecture and its full of atmosphere. The Mansouri Great Mosque is one of the most popular landmarks. Furthermore, the Citadel of Raymond de Saint-Gilles is well preserved and tops Tripoli’s collection of historical sights. Next, head over to the capital city of Beirut. As the country’s bustling heart, Beirut homes high end fashion retails and an exciting nightlife. Its collection of museums is also why the 123RF World Travel Guide ranks this city as the cultural hub of Lebanon. Finally, Baalbek offers travelers a chance to step back into the nation’s glorious past. Also, known as ‘Sun City’, the mammoth temples surely form the most extravagant sight in Lebanon. The minimal media attention also adds to its charm. Therefore, you feel as if you’re discovering something new with every trip made. Lesotho is a kingdom in the clouds. This tiny landlocked country is overshadowed by its bigger brother, South Africa. Many travelers often decide against swapping the beaches of Cape Town for the soaring mountains of Thabana Ntlenyana. However, the 123RF World Travel Guide believes it’s time to change this. This mountainous country has some of the best hiking and trekking spots in the world. 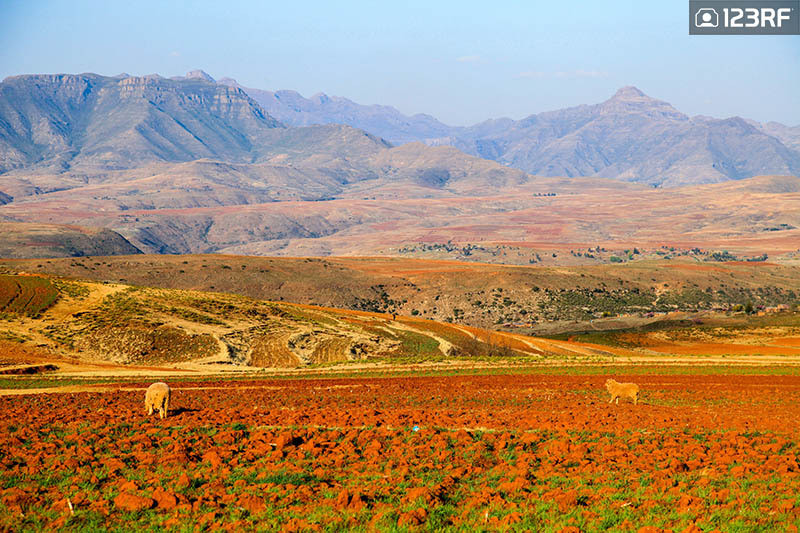 In short, Lesotho is a nature lover’s paradise. The pick of the bunch here is the Ts’ehlanyane National Park. At a high altitude of 2000 to 3000, this massive land is best explored by hiking or horse riding. Meanwhile, for those looking to get in touch with the local culture, make your way to the Thaba Bosiu Cultural Village. This center offers guided tours which enable guests to experience ancient traditions and rituals of the Basotho community. Following that, the Ha Come Cave Houses are another insightful getaway. Situated in the Berea district, the five cave homes were used as hideouts for clans during times of war. Today, a visit there allows for travelers to immerse themselves in legends of Lesotho’s past, while enjoying a tranquil setting. Robertsport’s idyllic beaches are a great for anyone looking for a private sanctuary. 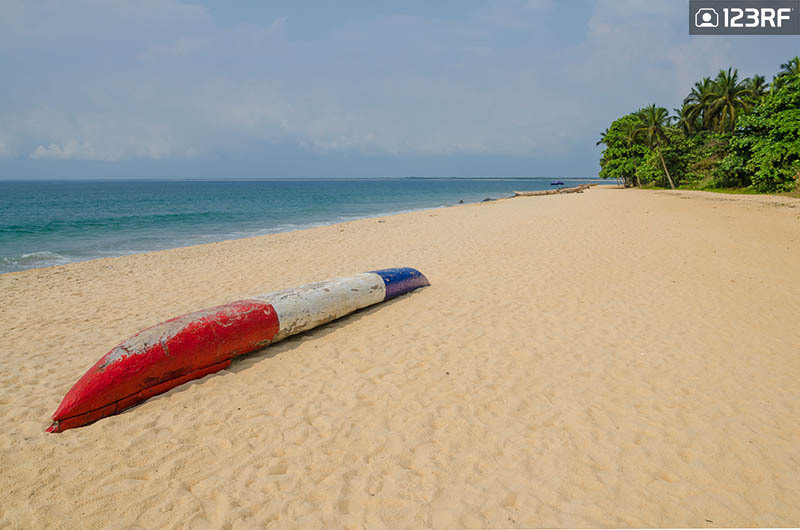 Situated in the west African coast, Liberia is the ultimate untouched beauty. And the 123RF World Travel Guide is itching to discover it. The country is home to almost 40 percent of West Africa’s rainforest, and the bulk of them is in the Sapo National Park. Here, treat yourself to monkeys, chimpanzees, elephants and an abundance of flora. Meanwhile, for a dose of city life, head over to Monrovia. The capital city is an open museum, with newspapers dating back to the 1830s and a gallery of black presidents that dates back to 1847. Additionally, the city has also slowly began to evolve with time. Travelers can now enjoy exciting bars servings up great pizzas and sushi. If the hustle and bustle of the town gets too much to handle, then a drive to Robertsport is a great way to wind down. 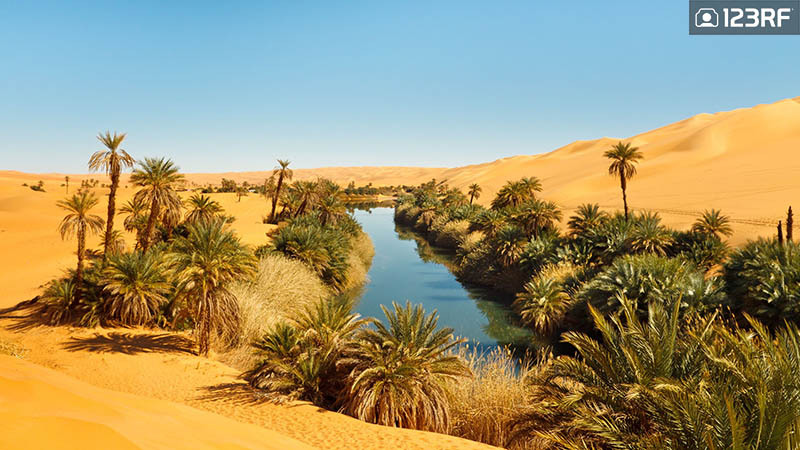 The lakes of Ubari form a picturesque oasis in the Sahara Desert. The 123RF World Travel Guide ranks Libya as an ancient gem. It’s a pity that the country has been hit with a series of unfortunate events. When peace does settle, Libya offers travelers a gateway to ancient Roman and Greek ruins, and the most spectacular views of the Sahara. For the former, Leptis Magna is widely regarded as one of the most intact example of a city under the Roman Empire. Hence, it is of little surprise that this one time monumental city is now a UNESCO World Heritage Site. For history buffs, the Arch of Marcus Aurelius is another prime example of the glory days for the Roman Empire. Additionally, the Martyr Square is great for a stroll with families and friends. Therefore, be sure to make plenty of time to enjoy the heartbeat of Tripoli. Next up on our 123RF World Travel Guide, join us as we explore medieval castles and alpine villages in Lichtenstein and dive into crystal clear waters of the Maldives. Also, catch up on our previous 123RF World Travel Guide series which grooved to the beats of Jamaica’s reggae scene and explored Kuwait’s past in the exquisite Tareq Rajab Museum. Finally, read up on more travel stories to satisfy your wanderlust cravings. Also, do check out how 123RF helps to design your story for your blog, magazine and website.